FRANKFURT/PARIS (Reuters) -- A rise in December new-car sales in France, Italy and Spain points to a pick-up in demand in southern Europe, although not enough to avoid a sixth straight annual decline in the overall European market in 2013. 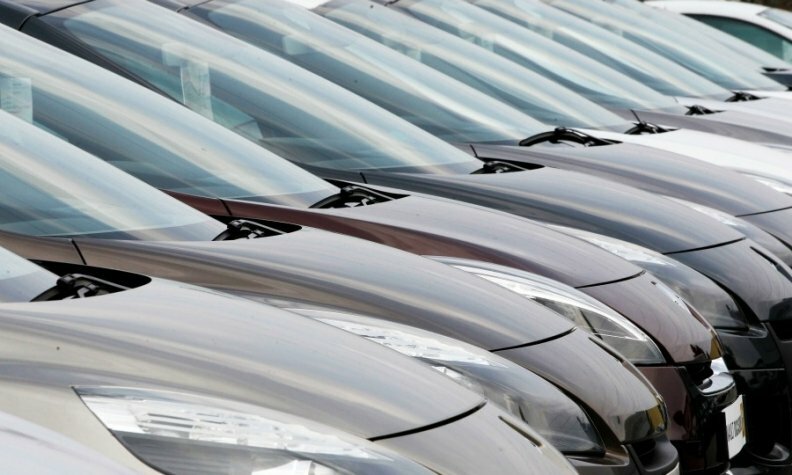 Hit by the financial crisis and resulting economic slump, the European auto market is set to have contracted last year by 25 percent, or 4.3 million vehicles, from 2007 levels, analysts at Moody's Investors service said. Industry data published on Thursday showed new-car registrations last month rose 9 percent in France, 18 percent in Spain and 1 percent in Italy, in a tentative sign that the slump in demand in southern Europe may have bottomed out. Arndt Ellinghorst, automotive analyst at ISI Group, said he was optimistic: "There is strong evidence of a recovery [for European car sales], driven by low financing costs, improved residual values and used-car prices and much better fuel economy of new cars." The surge in French car sales in December was thanks largely to a 38 percent jump in registrations by Renault, data supplied by industry association CCFA shows. New-car sales in Italy, Europe's fourth-largest car market, rose 1 percent in December from the same month a year ago, to 88,705 vehicles, Italy's transport ministry said. In Spain, PSA/Peugeot-Citroen topped sales, registering 5,333 vehicles in December, helping new-car sales to rise 3 percent in 2013, rebounding from a 13 percent drop in 2012, car manufacturers' association Anfac said. "We come in to 2014 with a little more optimism and with a resolution that most of our companies move in to the black and maintain employment levels," said Jaume Roura, head of Spanish car dealer association Faconauto. Moody's Investors service expects demand for light vehicles to grow by 3 percent in western Europe in 2014 after a 5 percent slump in 2013. "However, economic fundamentals do not yet indicate a sustainable upward trend," Moody's analyst Falk Frey said in a note. Thursday's data showed that in France car sales slumped 6 percent in 2013, the CCFA said. Nonetheless, the French car market is expected to be stable in 2014, Renault's French sales chief Bernard Cambier told BFM Business TV. However, even a return to sluggish growth will do little to alleviate chronic excess capacity, industry officials warn. "We're still in a very weak market," said CCFA spokesman Francois Roudier. The coming year should bring stability at a very low level, he added. The rise in car sales mirrors growth in manufacturing across the euro zone. Euro-zone manufacturing grew at the fastest rate since mid-2011 in December on brisk business in Germany and Italy, setting the stage for a solid start to the year after a tumultuous 2013, a survey showed on Thursday. Markit's Eurozone Manufacturing Purchasing Managers Index (PMI) rose to 52.7 in December from November's 51.6, confirming an early estimate and marking its best reading in 31 months.